The building started in december 1988, and ended at Easter 1990. Claude Anfray draw his plan in full scale. 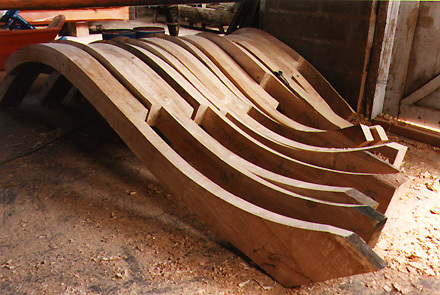 Each part of the Granvillaise will be drawn with extreme precision. 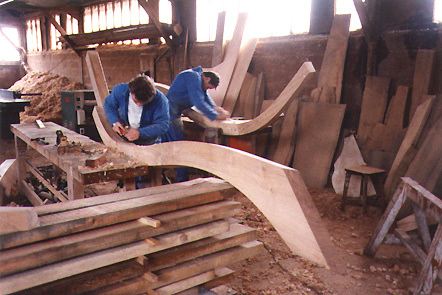 The pieces of oak of the frame are cut, before to be assembled. 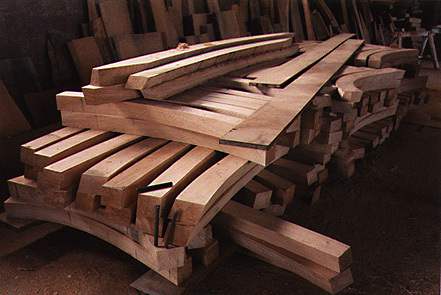 The quality of the wood, is very important. 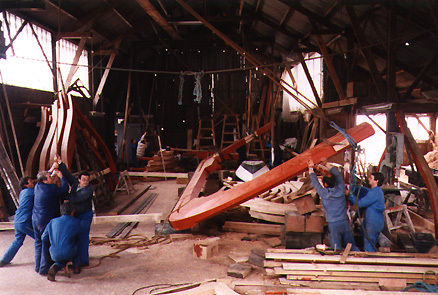 Claude Anfray and his suppliers are in close relationship and work together in confidence. 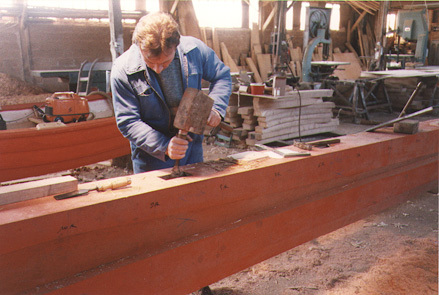 The ribs are planned with care by hand or with electric planning machine. All the ribs are different. 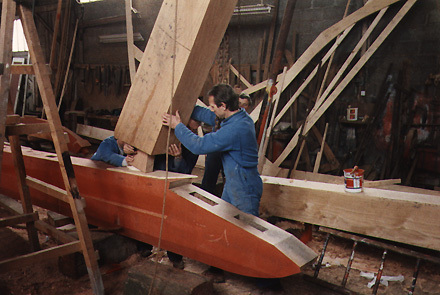 The keel and the stern-post, made of oak, are assembled by mortice and tenon. This work is essential. All the pictures presented here are by John-Pierre Delahaye, photographer in Granville, who report all the building steps of the Granvillaise. 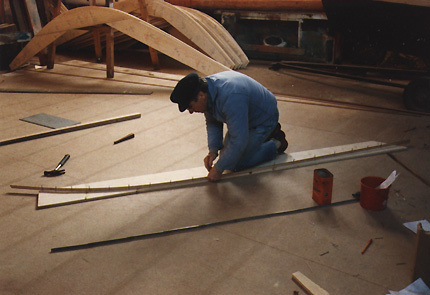 At last the keel, the stern, and stern-post are set up. The operation asked the help of the men of the neighbor headlights and beacons service.